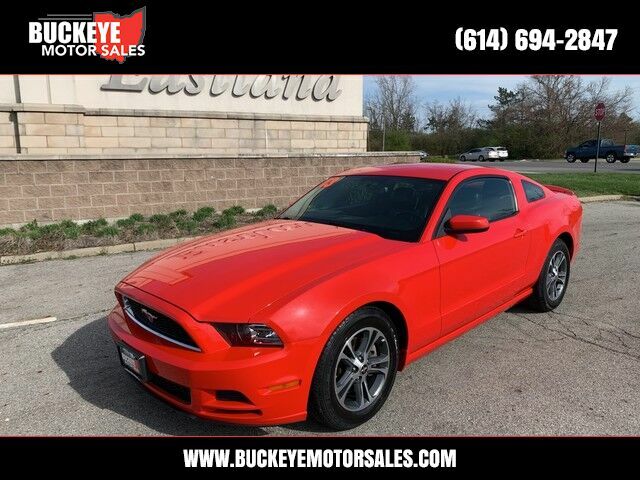 Buckeye Motor Sales is excited to offer this 2013 Ford Mustang. The Mustang got an extensive redesign a couple of years ago, and it carries through with that same heritage pony-car look. Mustangs remain one of the strongest performance-coupe values for the money, thanks to prices that start in the low twenties and a bottom-line price of about $35k for a well-equipped GT Coupe. Additionally, Mustang Convertibles are one of the better picks for those who plan to make an impression when cruising and plan to carry passengers in the back seat. Meanwhile, the powerful Boss 302 version is the choice for those who plan to do weekend racing and are willing to give up a slight bit of comfort.